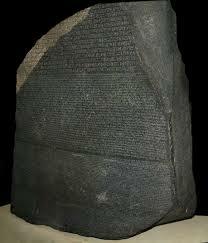 Knowledge of dream symbolism is your Rosetta Stone for translating your dreams into a form you can understand. Symbolism is a shorthand way of expressing an idea. Everything in your dreams is some sort of symbolism. The settings? Those are symbolism. The actions? You guessed it: symbolism. Knowing that an action is symbolism can help to explain the reason behind even the most shocking and absurd actions in your dreams. Symbolism is the language dreams use to communicate. A language of analogies, comparisons, metaphors, puns, word plays and just about every other device used for storytelling and language. 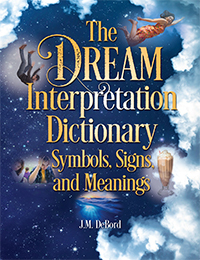 Dreams use symbolism to create personally meaningful stories about you and your life. Your dreams would much rather tell a story than give a lecture or recite facts. You are more likely to engage a story with interest, and the moral or point of it sinks in deeper. In short, dreams tell stories through symbolism because it makes you think, react honestly, and get the message. A good rule of thumb is that everything in a dream symbolism. Of course, it’s called a rule of thumb because it has exceptions. Dreams can speak literally and directly, but usually they speak figuratively and symbolically. Another good rule of thumb is that all the details of a dream weave together into a big picture. The details all relate back a central idea or subject. They’re all used to tell a story. Some dreams are not meaningful and some are completely nonsensical. With those dreams, even if you can identify symbolism in them, there’s no narrative. Meaningful dreams engage you. They impact your emotions and feelings. They have a narrative and burn into your memory. Meaningless dreams tend to fade into the background. J.M. DeBord, aka “RadOwl” Click for bio. Think of your dreaming mind as a translator that takes any input and spits out symbolism. Input includes physical stimuli, thoughts, memories, feelings, emotions and perceptions. So for example, a book falls and slaps the floor nearby as you are dreaming, and your mind produces imagery of a gun firing. Go to bed thinking about a test scheduled for tomorrow, and your dreams are full of schools and books. Have an argument with a friend during the day, and dream about fighting a dog that night. Why a dog? Because dogs are “man’s best friend.” You only have to know about the association between dogs and friendship for your dreams to use it as symbolism. Symbolism is created by your associations. People who associate dogs with friendship are more likely to dream about them in relation to friendship. But let’s say that the dog in your dream is your neighbor’s, and you argue with that neighbor over it crapping in your yard. Perhaps the symbolism ties in with the situation with the neighbor. The context of the story and your life help to define the symbolism. Take the following example. A man dreams that he kills a dog but it doesn’t stay dead. It stems from a situation in his life where he tries to tell someone to get lost but the person doesn’t take the hint. Most symbolism is subjective, entirely based on your personal associations. Some symbolism is archetypal, meaning it appears in the dreams of people everywhere with roughly the same meaning. Damage to a car in a dream can symbolize damage you do to your body or your life. When your life goes the wrong direction or takes a setback, your dreams can tell the story as driving in reverse. When your efforts get you nowhere, your dreams can tell the story as spinning your wheels. When your life is super busy and you can’t slow down, your dreams can tell the story as brakes failing. These scenarios have other possible interpretations. These are only ideas to show you how the symbolism can connect with yourself and your life. The point is to get you to think figuratively and metaphorical about what you see and experience in your dreams. Cars and driving are especially good symbols to use in stories about the day to day activity and movement of your life. Details such as the control you have of the vehicle and condition of the vehicle and road can be used metaphorically. Read about the meaning of a dream about a car accident. Stands out, draws attention to itself, especially absurd dream imagery. The more absurd the imagery, the more likely it is clever symbolism. Stirs you. Sometimes your reactions in a dream appear totally out of place within the larger context of the story. However, subconsciously you already know what the symbolism means and react to that, not to the overt story. Makes sense at the time. So when you dream about riding in a hot air balloon with Snoop Dogg and landing in a village of oompa loompas, you go along with it. It makes sense when understood as symbolism. I dream I am walking down the street alongside a giant banana with legs. A man yells, “Are you sure you want to go that way?” I answer no, turn around and walk the other direction. You have to admit, walking down the street with a giant banana is pretty absurd. It would be easy to write off the imagery as meaningless, but with the help of the dreamer’s association we pieced together the message. The dreamer is a young American man with many Asian friends. The possibility of romance has come up with some of the Asian girls in that circle, but the dreamer is hesitant to go for it because he knows the high expectations his Asian friends have for behavior and conduct in dating relationships. That is what the man in the dream means when he asks, “Are you sure you want to go that way?” What is really being asked is, “Are you sure you want to date an Asian girl?” His reaction gives the answer. Now consider the walking banana. Bananas are yellow, typically. A stereotype about Asians is they have yellow-toned skin. Some do, some don’t. Point is, it is a common association of which the dreamer is aware, and that association what the dream uses to create the banana symbolism. I dream that I find a dead rat in my bed and it leaves a stain on my mattress. I scream at my parents. Why scream at the parents? Because the dreamer subconsciously knows what the rat symbolizes. A definition of rat is “someone who betrays.” The dreamer feels betrayed by something his parents did–he wouldn’t tell me what, but he latched onto that idea when I mentioned it. The stain on the mattress symbolizes a strain on their relationship. He doesn’t trust them anymore. Take note of the symbolism in your dreams. Think expansively and creatively about what it could mean. Approach it like learning a foreign language. With practice and exposure you are sure to get better at translation. And as you do, the meaning of your dreams will be unlocked.